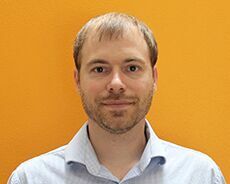 Andrew studied History at the University of Missouri, Information Science at the University of Michigan, and Development Operations at Rice University. He has over 10 years of experience working with databases and previously worked at Google and Stanford University. He enjoys spending time with his wife, Anna, and young daughter, Sofia, and also serves as Vice President of the Board of Directors of the Cuesta La Honda Guild.